MagtiMate Blogger Template is a clean, minimal, and modern, Blogger news and magazine blog theme. It is responsive means it will fit in various device of different size. It supports all type of post format. It is simple and it’s elegant. 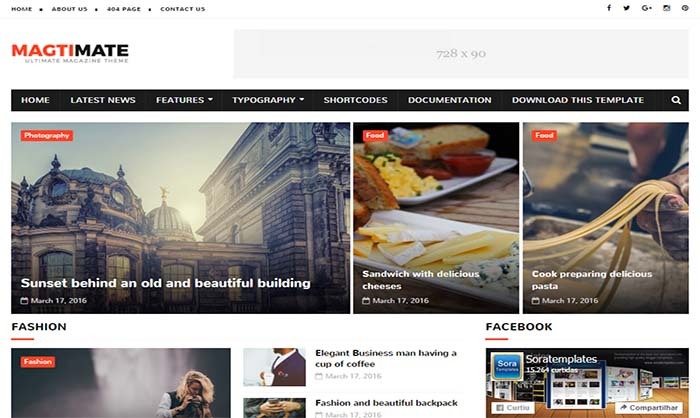 This theme is suitable for any kind of news portal, magazine, newspaper, travel, technology website. If you’re looking for one professional, responsive and SEO friendly theme for your website then this is one of the best and perfect choice for your website because magtimate blogger template has almost all features that you always want in any professional blogspot theme.